Does your horse get little to no concentrate feed? Then give them Pavo Vital! When you are feeding your horse (of 600kg) less than 1,5kg or your pony (of 300kg) less than 0,75kg of concentrate, they don’t receive enough vitamins and minerals. In that case, a supplement such as Pavo Vital is the solution! Pavo Vital is a daily balancer: a pellet with all the vitamins and minerals that your horse needs, made from 100% natural raw materials and no unnecessary additives. Pavo Vital is unique due to the addition of the newest trace elements, Intellibond®. Normally trace elements like cupper and zinc have a very bad taste for the horse, so supplements containing these trace elements are often not very palatable. But the special Intellibond® trace elements are released in the stomach (not in the mouth) of the horse. Therefore they have no negative effect on the taste! 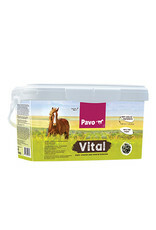 Together with the addition of timothy grass and Lucerne, Pavo Vital is a very delicious pellet! All vitamins and minerals in Pavo Vital are scientifically put together. Therefore, you do not have to use a combination of different products/supplements to add to your horses diet, which prevents the risks of overdosing. 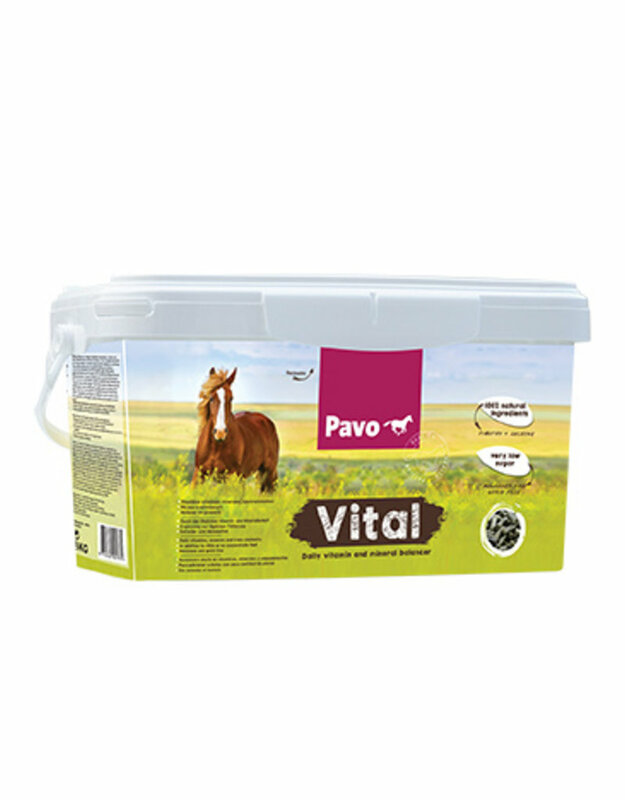 Simply one daily portion of the supplement Pavo Vital, according to the guidelines, is sufficient to optimise and support your horses/ponies health. Available in 8kg bucket, 8kg refill bag and 20kg bags.